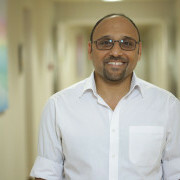 Raef Faris is a consultant Gynaecologist and Fertility specialist at the Lister Hospital/ Lister Fertility Clinic, the UK's largest private IVF Unit. Since it opened in 1988, over 17,600 babies have been born from fertility treatment with the clinic. He also works in the colposcopy department in Chelsea and St Mary’s Hospital Imperial College London. Dr Faris graduated from Cairo University in 1991 where he obtained his MSc degree. He moved to the UK in 1999 where he obtained the MRCOG and then FRCOG. His clinical training in the UK in Obstetrics and Gynecology began at The Ipswich Hospital and was completed at Nottingham University Hospitals. He obtained a special skills certificate in medical education by the Royal College of Obstetrician and Gynaecologists. Dr Faris is an accredited laparoscopic surgeon by the Royal College of Obstetrician and Gynaecologists and has also obtained the European Universities Diploma of Operative Gynaecological Endoscopies at Université d’Auvergne, Clermont-Ferrand France in 1999. He is an accredited trainer in embryo transfer, assisted conception, pelvic ultrasound, and Quality Management of fertility service by the British Fertility Society. He is a member and trainer of BSCCP. Mr Faris believes that patient wellbeing is achieved through a comprehensive approach to health issues using technical skills, scientific knowledge and human understanding. He manages a wide range of fertility issues including endometriosis, polycystic ovarian syndrome, recurrent implantation failure, miscarriages, and low ovarian reserve. He performs various operative gynaecological surgeries including laparoscopic and hysteroscopic surgery and removal of fibroids (myomectomy), surgeries for hydrosalpinx, Asherman’s Syndrome and uterine septum, along with performing other gynecological procedures unrelated to fertility. He has also published nationally and internationally in different areas in reproductive medicine. His talk in the fertility show will be on the topic; “Is there anyone too difficult to treat”. Dr Faris will particulary handle the confusing issues on forms of stimilation, different appraches to IVF treatment with regards to low ovarian reserve and poor responders. His talk will include Lister Fertility data involving around 23,000 cycles as well as external data to help understanding the best possible advice in the subject.